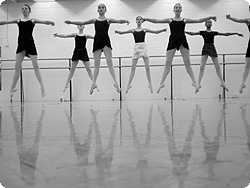 Cassandra School of Ballet emphasizes quality as its basic philosophy. We believe that quality and excellence along with the sheer joy of learning dance, needs to be inherent in every aspect of our ballet training program. 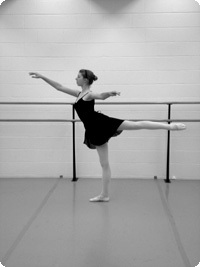 Our Ballet technique is based on the School of American Ballet (SAB), Balanchine Style and the French Method. Proper technique and planned curriculum making classes fun & enjoyable for each division, building a strong dance foundation. Nurture an appreciation for all performing arts. 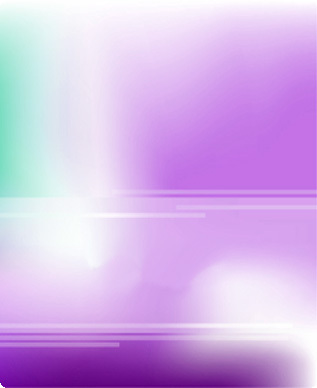 All levels are based on ability through class auditions. The Artistic Director has the final decision on class placement. The school offers classes for students ages 3 to Adult. For ages 3-4 (Once per week) Children are encouraged to use their imagination through fun dance movements and are introduced to basic ballet skills and musical rhythms. For ages 5-6 (Once per week) Children learn basic ballet movements, terminology and body positions. For ages 7-12 years. Students study basic classical ballet positions and steps with an emphasis on proper placement, technique, and ballet vocabulary. They continue to learn new steps, combining them into simple combinations, developing physical strength, turn-out and memorization. Students are expected to learn and adapt to intricate dance steps while growing in technique, physical strength and upper body for classical style. In addition to the Lower Intermediate Ballet's requirements, students are perfecting the turn-out line, turns, allegro jumps, adagio strength, and developing memory skills for intricate combinations. Students in this level are required to take a minimum of 4 classes per week in order to develop the necessary strength and technique that is required, preparing for the Advanced/ Professional Level. 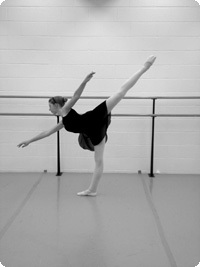 Students may enroll in pointe classes only at the recommendation of the Artistic Director. Students need to achieve appropriate physical maturity and must have mastered the proper basic ballet technique and strength. This is to prevent physical injury and incorrect habits, which can delay a dancer's progress. (1 class per week) Students—ages 13 through adult—study basic classical ballet positions and steps with an emphasis on proper placement, technique, and ballet vocabulary. Teen/adults continue to learn new steps, combining them into simple combinations, developing physical strength, turn-out and memorization. Please call for more information. For students who have completed one year of classical ballet training. For ages 7-10 years. Learning basic Tap skills with technique and Broadway style dance. Tap is an enjoyable art form for children, developing rhythm & coordination skills.